Saturn Relay kit allows you to quickly and easily repair your shift cable by replacing the bushing. The patent pending coupling and custom molded replacement bushing ensure a quality repair with ease. A professional can perform this repair in under 10 minutes, average time for a non-professional is less than 25 minutes. This bushing is made from a material that was designed to outlast the factory bushing and includes everything needed to install. 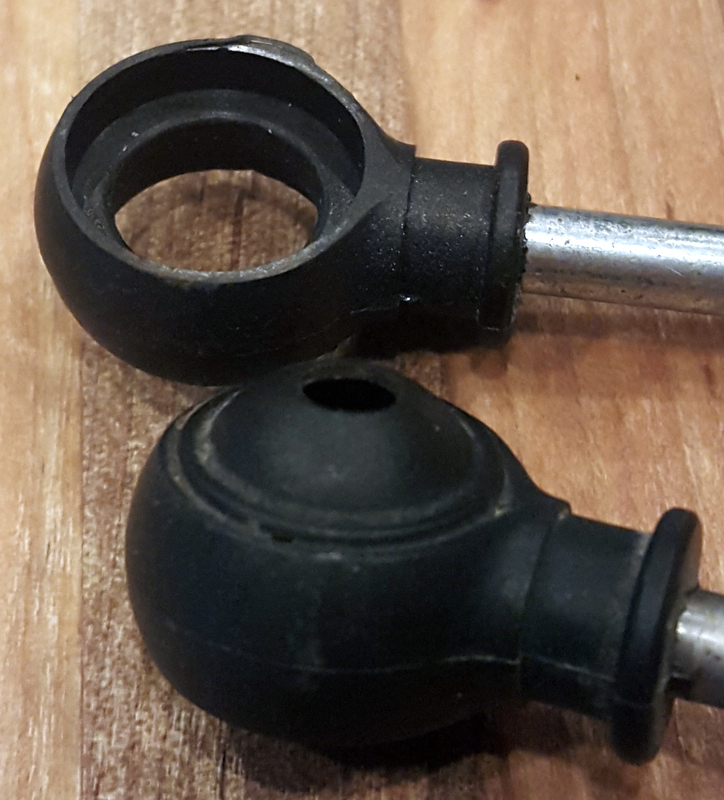 Order Online at www.BushingFix.com This shift lever bushing repair kit allows you to fix your Saturn Relay shifter lever by replacing the bushing very easily. It takes about 5 minutes and comes with a warranty, it's made from better material than the factory bushing so it'll last longer. No drilling required. Check out our website to order and for additional written instructions. The easiest way to fix or repair your Saturn Relay shift lever! Kit includes replacement bushing. Thanks for this product. My wife stopped her Saturn Relay van about 1/2 mile from her place of work and when she went to leave, the shifter cable broke free. Did a little Google research and found your site. Ordered the repair kit w/ 1-2 day shipping and got it replaced in about an hour. Would have taken less time but big hands, tight spaces and tight bracket bolts are not a good combination. Worked perfectly!! With kit, shipping and towing the van the half mile back to her work, it was less than $100. Thanks!!! Having the installation video was very helpful and accurate. Thanks guys, save a lot of money and simplified this repair. Firestone said that I needed a new shifter cable at 106.00 Plus a 100.00 labor and tax. I thought that was kind of high priced so I started exploring my options. I found the cable on Ebay for 50.00 so bought it then I was searching for installation video tutorials on YouTube, that’s when I stumbled across the bushing fix video and link to your product. It was a simple solution for small price. Now I have to try and sell a shifter cable. so fast to fix and a good fix. The shift cable broke on my wife's car. I tried an assortment pack of bushings from local auto store but no luck. I ordered the shift cable from bushingfix.com and received it 2 days later and I installed it in 5 minutes. My wife is out shopping again. Dealer wanted to replace the whole cable! It was easy to install. The video on YouTube showed exactly what to do! Wow what a great experience! Simple and fast to install. I wish all diy projects were this easy. We were lucky enough to have a tow guy show us it was just the bushing. Problem was I went part store to part store with no luck. Found places that would replace the entire shift cable for $300. I decided to order the part after watching the video. It came very fast. The instruction video was so helpful and I was really happy that I was able to do it myself. Took me about 20 minutes. I was one happy mama being able to do it myself and save myself 100s of dollars. Thank you! Took less than 15 minutes to replace the bushing, thanks to your product! Very nice and knowledgeable person at the sales desk too.